A menu of thoughtful but not overdone casual fare, including sandwiches, salads, and myriad stick-to-your-rib appetizers (chicken wings, poutine, etc.) 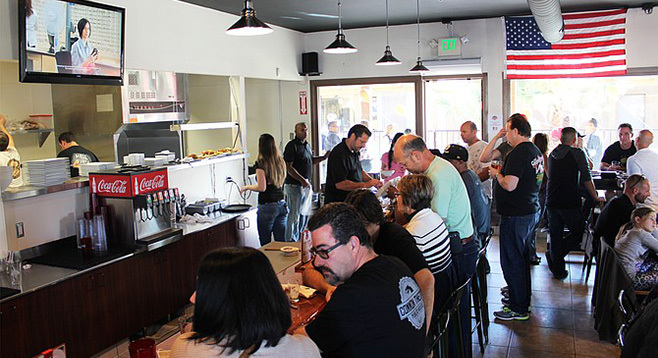 share menu space with beers from Oceanside's Legacy Brewing Company at this indoor and outdoor seating-equipped bar-restaurant hybrid. Monday 3-6pm: $1 off all pints. Tuesday 3-6pm: $1 off all pints. Wednesday 3-6pm: $1 off all pints. Thursday 3-6pm: $1 off all pints.